Smart Coats was hired to update the lobby and common area hallways of this Stoneham nursing home. We had to perform this work at night since the facility was very busy during the day. 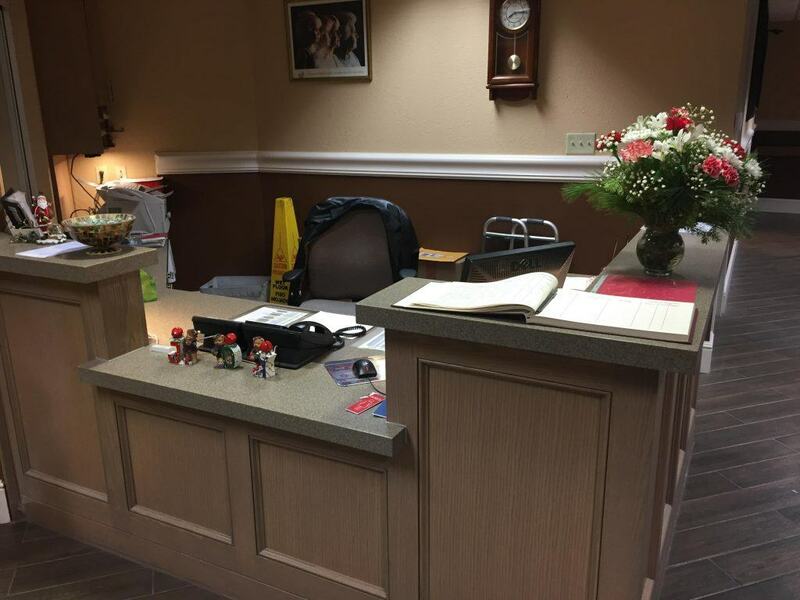 We replaced the carpets with new ceramic tile, installed all new lighting, acoustical ceilings, lighting, tile, baseboard, wall paneling and a reception desk which we built ourselves. We contracted with Norfolk Hardware to get the counters installed. We brought the facility from the 60’s into the new age!